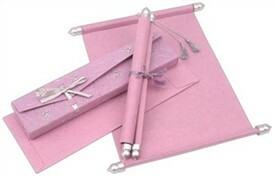 S133, Red Color, Scroll Invitations, Jewish Invitations. 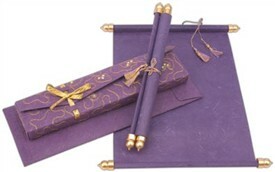 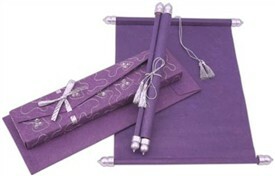 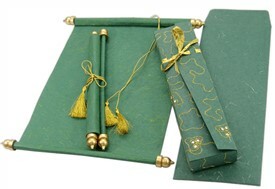 The rich vibrancy of this scroll invitation would add a definite color of enhanced joy with its undeniable grace! 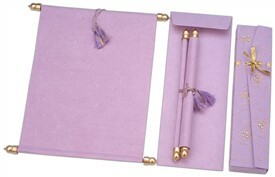 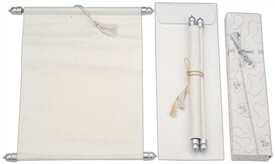 The scroll is plain with silver frame bars and the red - silver silken tassel. 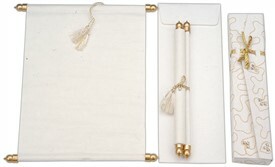 The envelope is a special design with intricate zari embroidery having kundan work for highlighting. 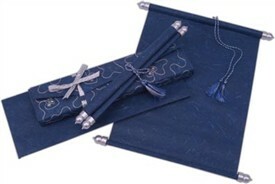 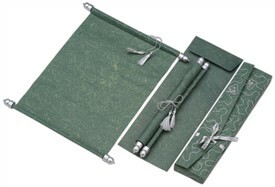 A silver zari ribbon ties the envelope. 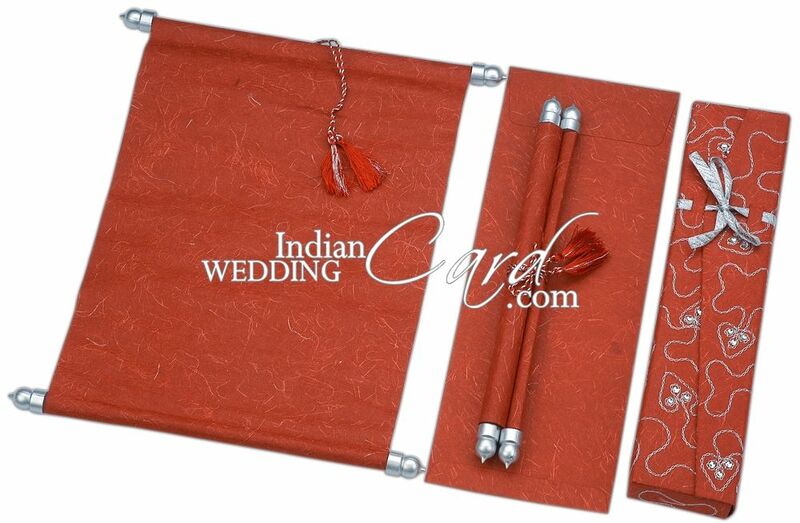 Red colored silk handmade paper, scroll (100gsm) with silver frame bars and red - silver combination silk tassel, box style envelope (200gsm) with silver zari embroidered base having kundan work and silver zari ribbon.